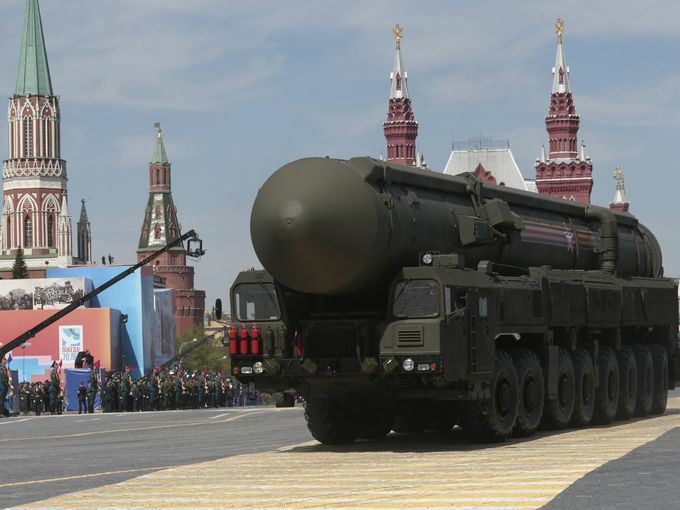 COLD WAR: WHAT DOES THE RUSSIAN 70TH VICTORY PARADE TELLS US? After collapse of the Soviet Union in 1991, Russia as a country became almost a failed state, as the west enjoys economic and political monopoly. Countries that relied heavily on USSR, faced tough choices. Join Capitalism, or face isolation. In other words join the free markets economy or else. Most of the countries joined, regardless, choosing losing their dignity rather than their lives. Those who refused faced even tougher sanctions, and or violent coup d’ Etat, hidden under the banner of democracy. In Russia, transition from socialism to capitalism was brutal and merciless. Russians’ resilience have finally paid off. Recently we have seen Russian intervention in supporting Syrian government, annexing Crimea in Ukraine, and recently used its veto to refuse UN involvement in Burundi. The recent Vladimir Putin took the world stage by surprise in 2000. Very controversial, Putin has revived Russian military pride within a very short period. During recent parade, new high tech weapons like ARMATA Tanks were displayed, instead of old T-72 series, The Yars, a new generation of « the God of War », which will gradually replace the elder-generation Topol (RS-12M) and Stiletto (RS-18) missiles. Among the airplanes, the A-50 early warning and control aircraft, Tu-22M3 bombers, II-78 tanker aircraft, An-124 transport aircraft, MiG-31 supersonic interceptor, Su-24M front-line bombers. But the main lesson out of this parade, is in the politics. Russia is back. Russia is not declining as many western politicians predicted. In fact for western countries to refuse to attend the celebration, have only boosted Russia in its foreign policies, especially in former USSR partners. China as an emerging superpower, was one of the VIP during the celebration. For people in Sub-Saharian countries, South Africa and Zimbabwe were among the guests. 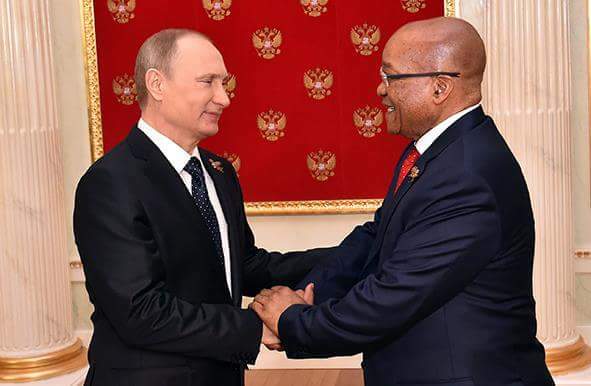 If or when Russia will want to project power, or extend its economic, and strategic policies in Africa, we can all predict where and how it will be done. United States is no longer the sole power in Africa after the collapse of the Soviet Union. The coalition of China Russia, South Africa, Zimbabwe and other southern African Nations is stronger than any coalition that can be scrambled by United States. What does this means to Africans? It simply means freedom. Endless Opportunities, we are not forced into a partnership with the west indefinitely, or the east. It means we can be independent knowing that no superpower is capable of doing harm however they pleased, without facing consequences. It’s not about Russia and China or United States and the west, but is about having alternative rather than being trapped in a relationship we don’t want. With a stronger BRICS, IMF will reduce interests, with a Stronger Russian, China, South Africa and Zimbabwean military and governments, Africans will not be subjected to Western proxies Armies of Uganda, Rwanda and Ethiopia. Balance and stability can only be achieved through mutual respect. That respect is earned not granted.